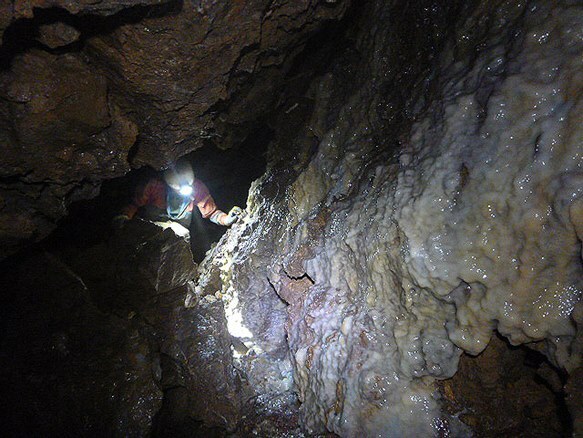 Axbridge Caving Group have broken into the long lost Upper Canada Cave in Hutton, near Western-super-Mare. 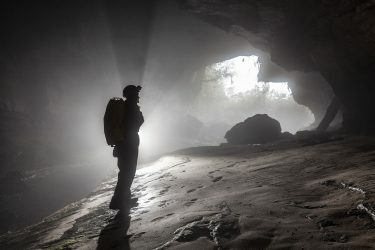 The discovery of Upper Canada Cave came about during the quest for the lost cave of Hutton visited by Alexander Catcott in the 18th century. The discovery of masses of bones helped Catcott with his book “A Treatise on the Deluge”, which described amongst many things the explanation for why so many animals obviously African in origin had ended up in the West of England. His ideas were of course wrong but nevertheless the caves that inspired his musings on the world were important to relocate for obvious historical reasons. One of these caves, Loxton Cavern was rediscovered in 2003 and emphasis quickly shifted to the village of Hutton, just south of Weston-super-Mare shortly afterwards to locate Hutton Cavern. On the site chosen Bleadon Cavern had already been found in the 1970s and there was some speculation as to whether this was the lost Hutton Cavern. 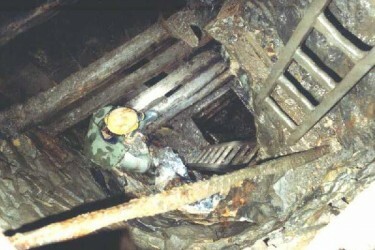 The upper sections of Upper Canada Cave had been dug open at that time but no way on could be found. 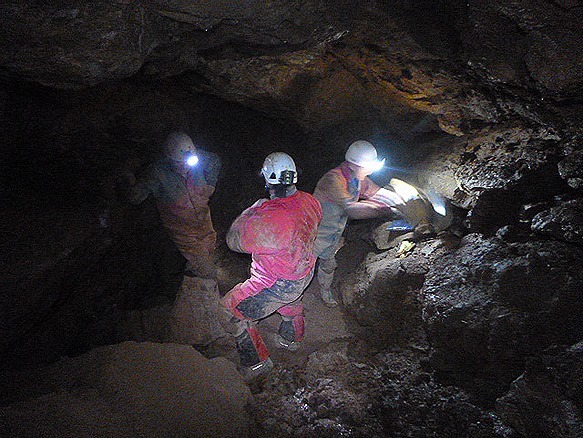 In 2007 the main passages of the system were discovered extending the cave deep into the hill. 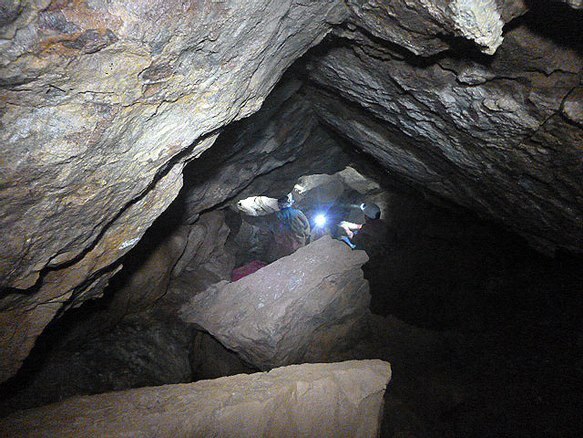 In April 2015 a breakthrough into the Glebe Series expanded the cave even more. 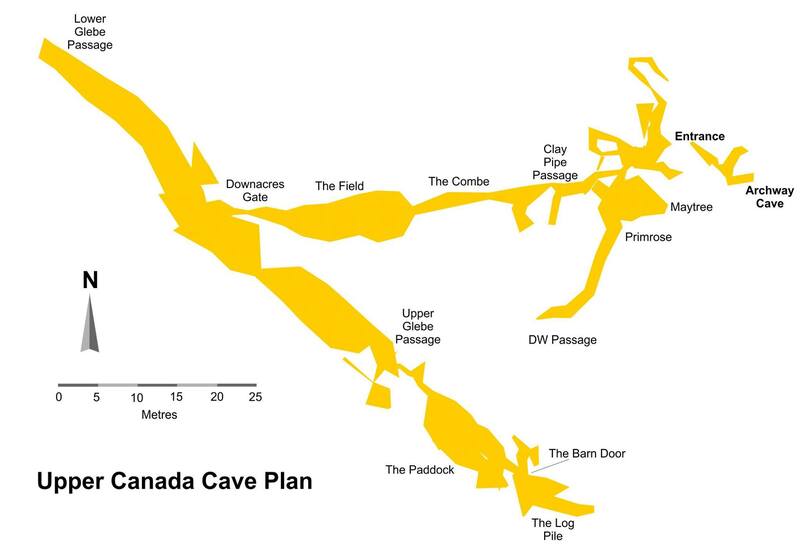 Further research using old documentation, surveys, period letters and descriptions etc made it abundantly clear that Bleadon Cavern was indeed the lost Hutton Cavern and that Upper Canada Cave is the cave ‘40 yards west’ mentioned in the texts. 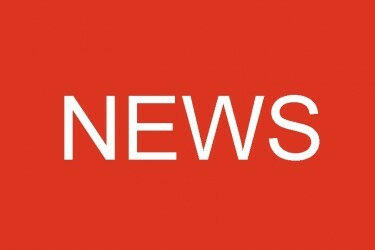 At present, following a strong draught at the lowest point in the Lower Glebe Series, intensive digging is attempting to extend the system further. 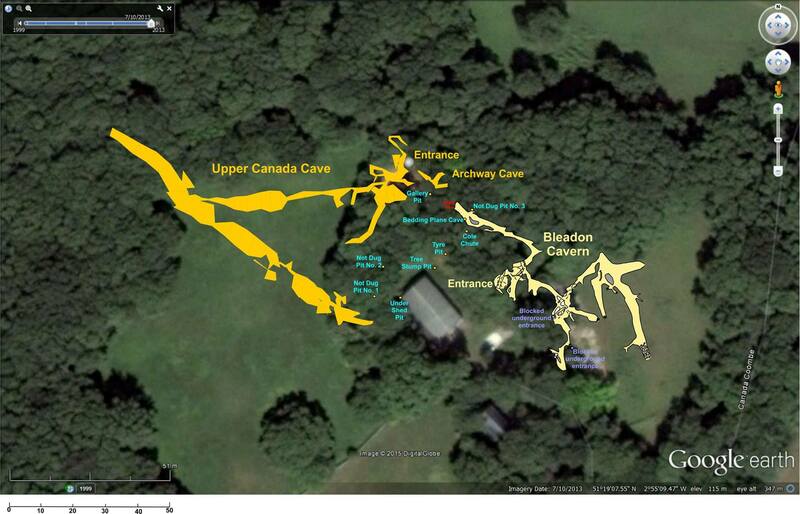 Upper Canada Cave is an Axbridge Caving Group dig. The main diggers, Alan Gray, Doug Harris, Ian Mildon and Nick Harding dig every Saturday, often with the help of regular guest diggers.